We had the pleasure of hosting two entrepreneurs from the Arava region of Israel, Dana Meltzer and Noa Barel this past week. 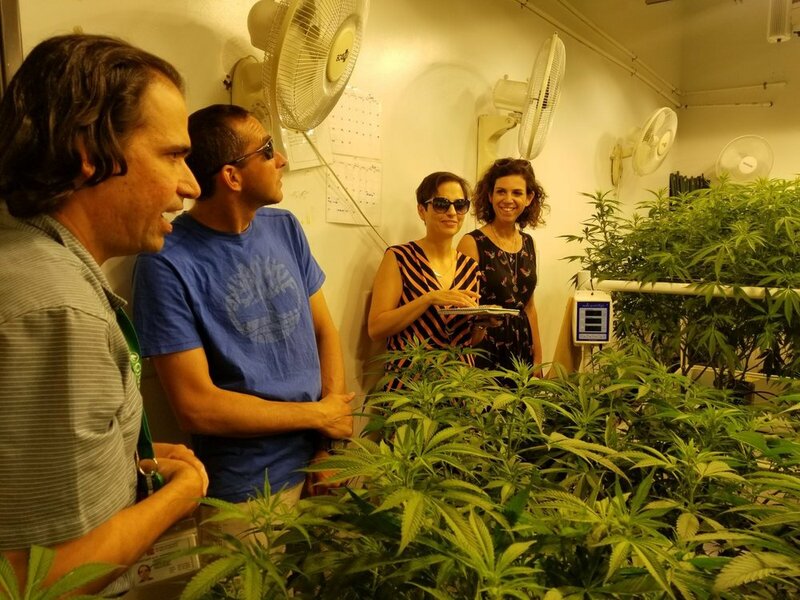 Both Noa and Dana have been engaged in organic agriculture for over a decade, and have been promoting the issue of medical cannabis in Israel (in matters of regulation, export, etc.). Their long-term vision is to develop the cannabis industry in the Arava, relying on the infrastructure in the region and on the advances research in Israel with a focus on the global market. In the immediate term, they are acting to establish a farm and nursery which will meet the most stringent standards, so as to produce organic and pesticide-free medical cannabis. They aim to achieve high-quality yield through extreme care at all stages of growing and processing, designed to produce a safe end-product for use by patients in Israel and, later on, throughout the globe (when export becomes possible). We were honored to have them visit The Giving Tree and be able to share our knowledge in hopes to provide better medicine for patients around the world. Check out the highlights of their visit below! NEW FIRST, SECOND & THIRD VISIT SPECIALS!